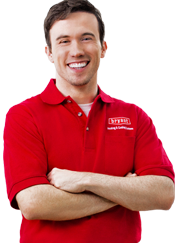 High quality furnace installation services in Ocean County. Sooner or later, every major appliance is going to wear down and require replacement. Your heating unit is no different. Get the guidance you need from a quality furnace installation contractor who can help you research your options and install your new system before a major problem arises. In LBI and the Ocean County, NJ area, residents and businesses have been trusting the Air Tech HVAC experts for reliable furnace installation and replacement services since 1999. As a local, family-owned business, customer service is extremely important to us. We promise to deliver the most reliable and honest service around. There are times when the signs that your furnace requires attention from a processional technician are obvious. For example, if your heater stops working, only pushes out lukewarm air, makes loud noises during operation or you notice that your energy bills are skyrocketing, these are sure signs that immediate action is necessary. But other times, the signs are more subtle. This is why annual HVAC maintenance is so important. These regular tune-ups will help you to keep your system running efficiently and catch any minor problems before they become larger, costlier issues. Do You Need to Repair or Replace? Not sure if you should repair or replace your furnace? 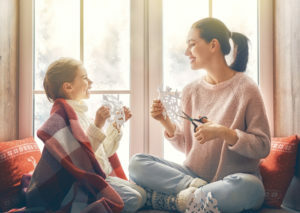 A good rule of thumb to keep in mind is if your furnace is beyond three-quarters of its life expectancy and/or the repairs end up costing more than a third of the replacement cost. On average, you can expect your furnace to last 15 to 20 years. A furnace is a great, energy efficient way to keep your home or office warm all winter long. Once you’ve decided to install a furnace in your home, you’ll need to consider energy efficient ratings. What Are Furnace Efficiency Ratings? A furnace with a higher energy efficiency rating will save you more money on heating costs – and may even enable you to qualify for an energy tax credit. When shopping for a furnace, look for the energy rating sticker with its AFUE rating. AFUE, Annual Fuel Utilization Efficiency, measures the ratio of heat produced by the furnace compared to the amount of fuel used. The higher this rating is, the more efficient your furnace will be. In New Jersey homes, all new furnaces are required to have an AFUE rating of 90% or higher. This means at least 90% of the energy in the fuel becomes heat for the home, the remaining 10% escapes through the chimney and elsewhere. Don’t let an old furnace drive up your energy bills a moment longer. If your home is equipped with a lower efficiency model, it may be time to upgrade to a new, energy efficient furnace. When you contact Air Tech for installation, our team will help guide you through your options. No matter what brand or type of furnace you’re looking for, the Ocean County furnace installation experts at Air Tech can help you find the right unit for your space. We have experience working with both residential and commercial customers. As a premier furnace installation company, our team is experienced and trained to ensure you get the right furnace at the right price. This includes professional installation as well as disposal of your old furnace. Whether you require furnace installation for a new build or replacement of an old, energy-guzzling unit, trust in Air Tech to get the job done right the first time.